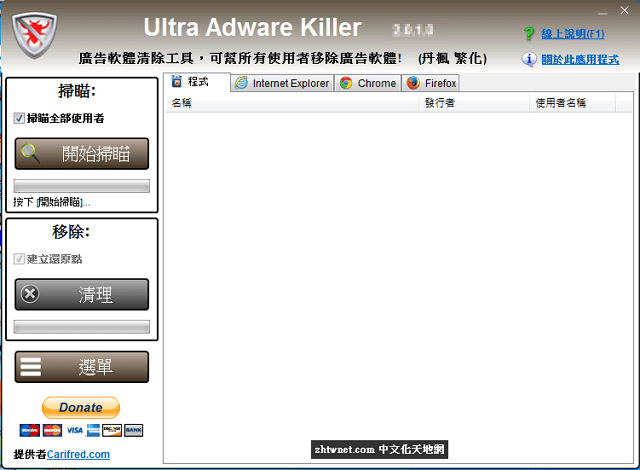 Ultra Adware Killer is a simple but powerful adware remover for Windows, which has the ability of detecting and removing adware for all the users in a system. This can save you lots of time logging in to other user accounts and performing the scan again. Ultra Adware Killer removes browser toolbars, ad-ons, plugins, unwanted search providers and hijacked home pages, and also potentially unwanted programs (PUP’s). It also allows to optionally reset the browsers configuration, allowing them to run as smoothly as when they were installed.